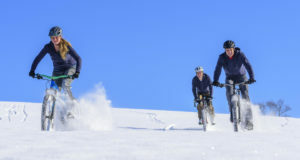 Whether you have cycled through winter (good for you!) 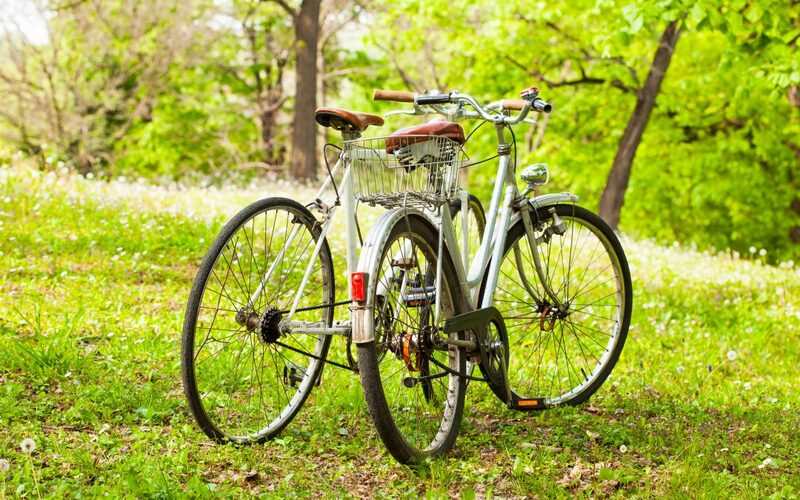 or have yet to dust off your bicycle for its spring debut, it’s important to get your bike ready for the new season. 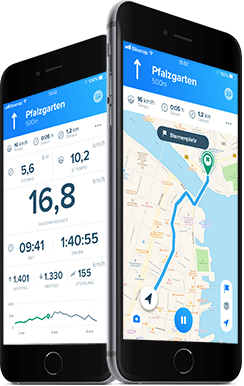 After you’ve planned your favorite routes, you also want to ride them with an awesome bike, right? 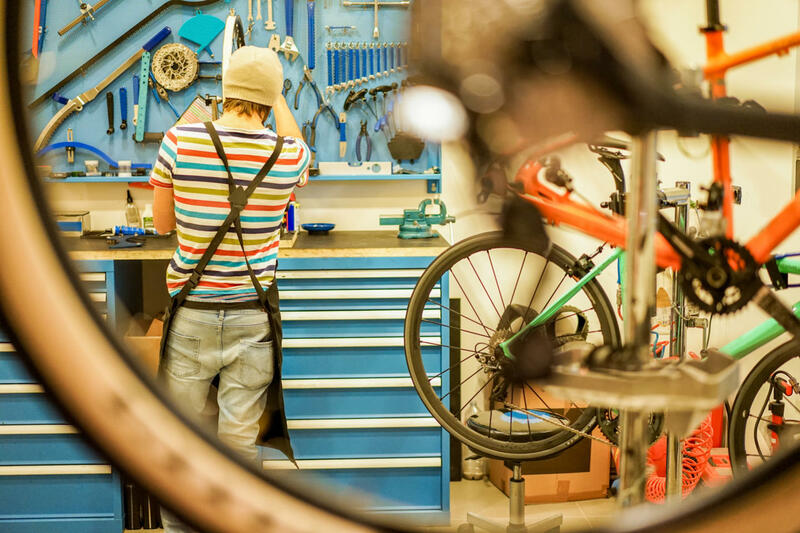 While an annual check-up at your local bike shop is always a good idea, here are some quick and easy steps you can take to make sure you’re ready to hit the road this spring. 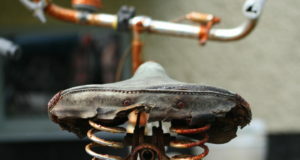 A well maintained bike is a happy bike! Not only does a clean bike look better, its parts will perform well together, wear off slower and save you money on replacements. Some soap water, a couple of rags and an old toothbrush will do the job. Giving your bike a good scrub also works wonders for your motivation: nothing like a spring clean to get you in the mood to show off those sparkly fenders. Inflate your tires till they feel hard to the touch, or to the recommended pressure as it says on the tire. For a safe ride the wheels should spin freely and straight – no wobbling. 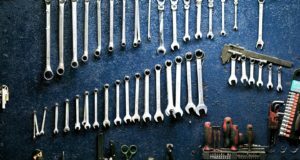 You’ll definitely need a replacement if the wheel is missing some of its spokes or the tire is visibly damaged, cracked or worn down. When in doubt, take it to the local bike shop. They should not graze the wheels when loose and make full contact with the rim of your tires when pulled. If the rubber on your brakes is worn down, it’s time for new brake pads. If you can easily squeeze your brake levers down to your handlebar and they don’t snap back with force, they need to be tightened. Turn your bike upside down or lift the rear wheel to manually shift through your gears while turning the pedal with your other hand. Watch for any signs of wear or damage on the chainrings and rear wheel cassette. Easy running gears and chains best transfer the force of your legs to the ground. 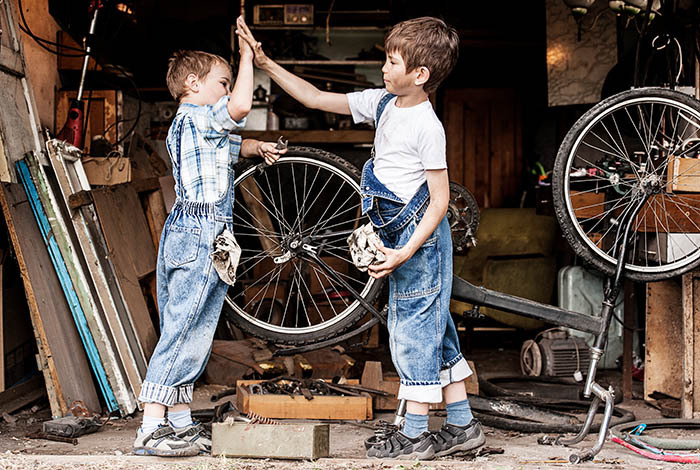 If your chain is loose or rusty, head to the bike shop for a replacement. A worn out chain will prevent effective pedaling and you won’t do your chainrings any favors. 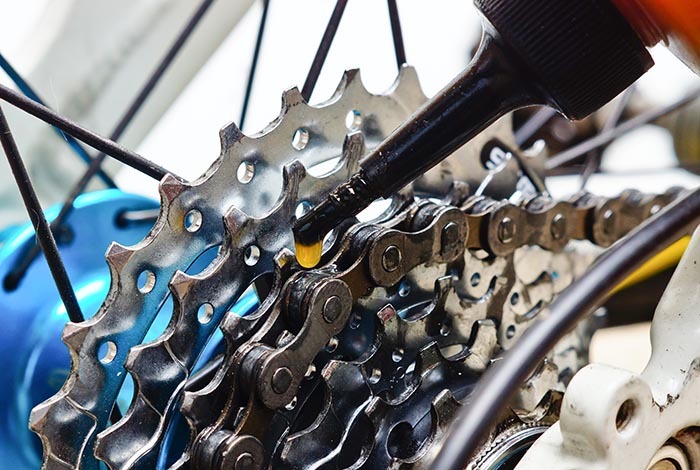 If the chain is just dirty or squeaks, clean off the muck with a rag and lightly lubricate the chain with some chain oil for a good-as-new smooth ride. Banish them once and for all by trading in your drive to work for a happier, healthier commute on two wheels. Try out your new route on the weekend to get used to the roads and intersections before navigating through rush hour traffic. Set yourself some achievable challenges. Sign up for Bikemap Premium, join a weekend cycling club or do like me and train towards a bike race event that scares you just enough to keep at it. It’s always more fun to work towards your training goals together! Congratulations! You’re ready to ride.